Uniroyal® has been providing tires to drivers since they were founded as the United States Rubber Company in 1892. By 1917 they had adopted the U.S. Royal® name and by 1960 they were one of the first tire manufacturers to turn out more than one million tires in a year’s time. Their famous Tiger Paw® tire was soon used as stock equipment on several of America’s most iconic muscle cars like the Ford Mustang and Pontiac GTO, solidifying their place amongst the “Big 4” of tire manufacturers. Uniroyal® tires have been around longer than most roads. When America trusts a product for that long, you know there’s probably a good reason. Consumers know when they choose Uniroyal® that they’re choosing safety and comfort. Their latest innovations will ensure Americans are rolling into the future on long-lasting high-performance tires. While tires and their designs have changed over time, Uniroyal® has stayed true to their original mission of offering everyday drivers an option that is both dependable and affordable. 125 years down the road, Uniroyal® is still moving America ahead. 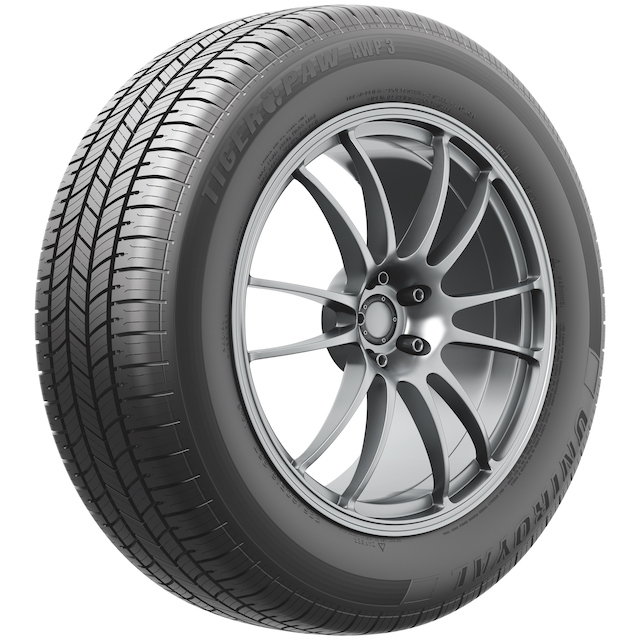 Uniroyal’s computer-phased design couples with wide, circumferential grooves in the tire’s tread to deliver a comfortable and quiet ride while on the highway. 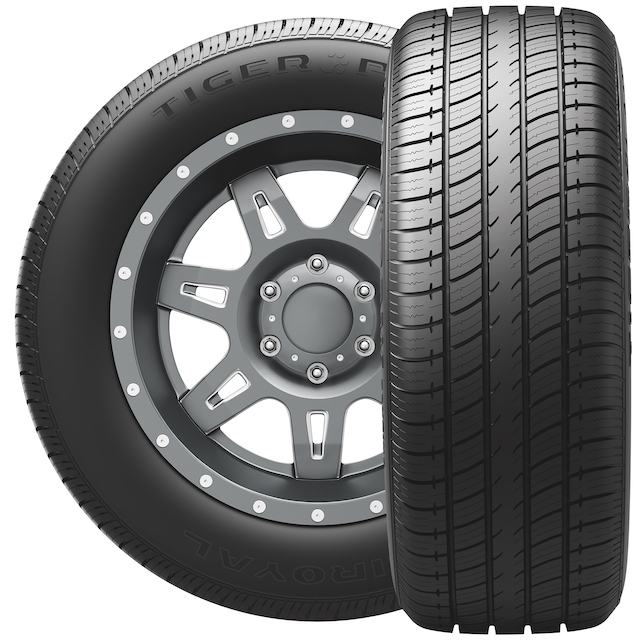 This model is backed by a 60,000 mile limited warranty and is perfect for SUV and light truck drivers who find themselves off-loading more than off-roading, but are still in need of a durable tire. Uniroyal’s Tru-Last Technology® helps manage stress within the tire’s footprint while the all-terrain design provides confident all-season traction for all types of terrains and weather conditions. 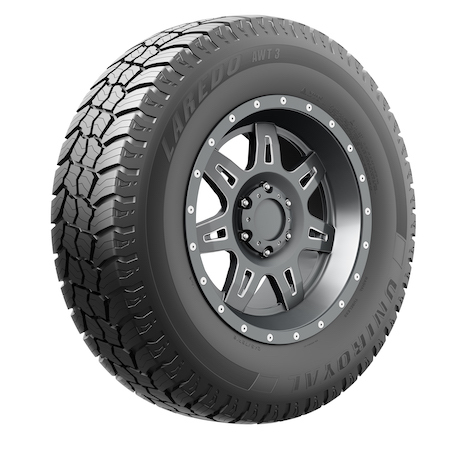 Dura-Shield® construction offers durability and reliability regardless of whether you’re driving on or off-road and helps maximize the life of the tire so that you get the most bang for your buck. Uniroyal’s most popular line has been redefining passenger tires since they first came off the assembly lines in the 60s. They added 10 new sizes in 2016, and the longest-lasting Uniroyal® passenger tire ever now offers over 80% market coverage for passenger cars. The all season compound and unique tread grooves help evacuate water faster, increasing traction and grip on wet pavement. This is an affordable and long-lasting tire that is great for popular vehicle models like the Mazda 6 or Honda Accord. This all-season tire features an optimized footprint shape that encourages long, even treadwear throughout the life of the tire. 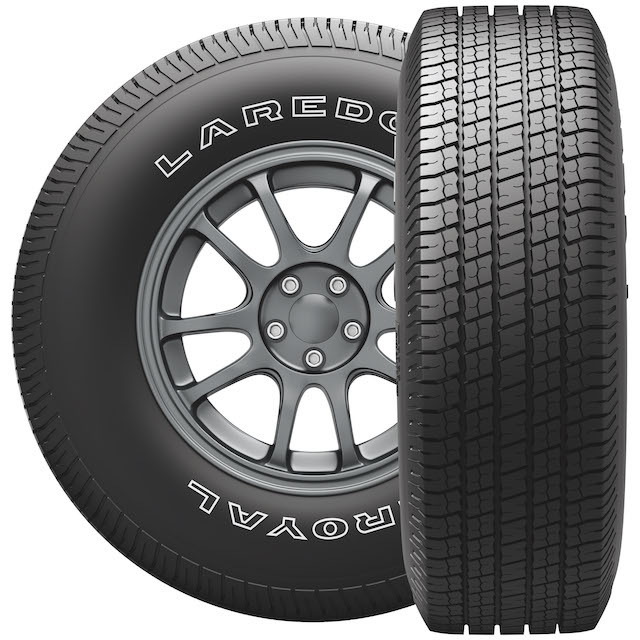 The computer-phased tread design delivers a quieter ride than ever before and this tire is even available with a classic white sidewall that is sure to take you down memory lane and evoke a sense of nostalgia within anyone who sees you on the road.